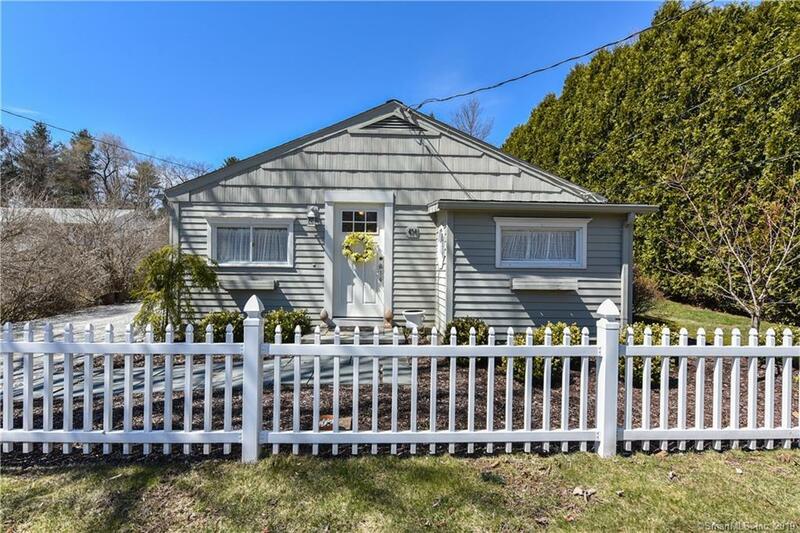 Absolutely charming in-town bungalow ranch. Gorgeous manicured gardens & grounds with stonewalls as well as fabulous courtyard patio off the kitchen/family room provides a wonderful entertaining space spring, summer and fall. Enjoy the bright, airy Family room accented with white washed T&G cathedral ceiling, raised hearth wood burning fireplace and hardwood floors. The open concept spills into the center island kitchen so you're always a part of the conversation. A formal Living room is accented with wood floors, vaulted ceiling and cozy alcove. The master provides a great cedar walk-in closet and vaulted ceiling. This home was fully renovated to the studs & heavily insulated a few years back by previous owner. No matter your pleasures the in-town location can offer you shops, fantastic restaurants, library and many local events within only minutes away. White Memorial Foundation hiking trails are near by as well as boating, golf, community center and more. Historic Litchfield can be your get away home within 2 hours of NYC.